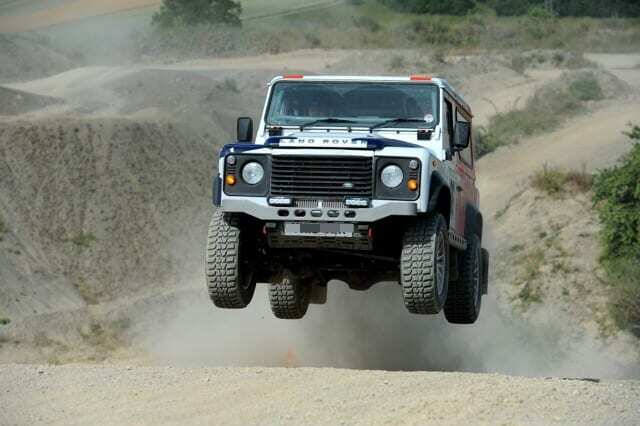 On the weekend of the 17th of November, Bowler Motorsport saw two Defender Challenge cars compete at the Scottish Hill Rally, the latter of two rallies that make up the Hill Rally Championship. After attending the event held on the Forrest Estate in Dumfries and Galloway it was with the upmost pride that Bowler announced newcomers Holly Wicklow and Holly Allan winners of the Gentleman’s Trophy as the highest placed female crew. Richard Hayward, the director of Bowler Motorsport, and Bill Frain-Bell came third in class. Combined with their first in class win at the Welsh Hill Rally, Richard and Bill came out First in Class at the British Hill Rally Championship. The course was incredibly muddy and at times, icy and slippery but both crews got their cars around on each stage without an issue, even overtaking other cars on more than one occasion. Richard’s co-driver, Bill was requiring his final signature for his FIA license needed for the Africa Eco Race, so Richard had ensure he finished the race and not make a single mistake. Both cars proved faultless as the team of mechanics stood around only completing routine maintenance. Not even a tyre was changed. It was a low cost race and thoroughly enjoyable. It proves entry-level racing is a great success for Bowler.